Why Are the Empress’ Eyes Green? 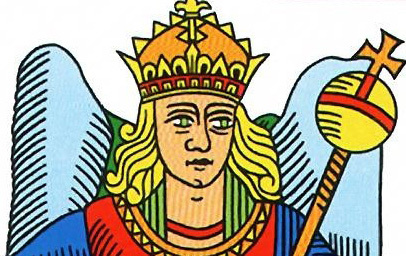 Why are the Limperatrice’s (The Empress’) eyes a striking green in the Tarot de Marseille by Alejandro Jodorowsky and Philippe Camoin? 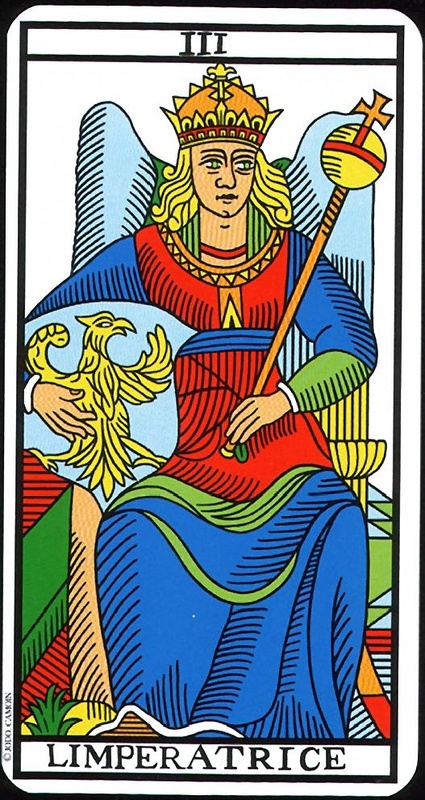 Her eyes are unlike those of any of the Empress in any other Tarot de Marseille I have seen so far. Eyes are typically rendered in black only with no iris. The two pictures here show the Empress in the Jodorowsky – Camion TdM and Joav Ben Dov’s TdM CBD. The TdM CBD Empress shows the typical rendition of a character’s eyes. In The Way of Tarot, Jodorowsky states that “Her green eyes are the eyes of eternal Nature in relation with the celestial forces.” I have a different idea. Unfortunately, they are rather vague about the sources for these secret teachings. 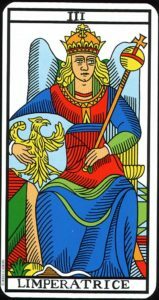 Some contemporary scholars of the Tarot de Marseille do not consider this deck to be an accurate restoration of the Conver deck. Jodorowsky and Camoin would probably disagree stating that their version is a more accurate restoration since prior hidden knowledge and coloration have been restored. Dune was a classic six volume science fiction series of novels written by Frank Herbert from 1965 to 1985 with five later works written by his eldest son Brian Herbert and Kevin J. Anderson from 2005 to 2009. I loved these stories! The movies – not so much. Interspace travel, a revolution, the Fremen, a race resembling Arabic Bedouins who produce a messiah, giant worms inhabiting the sands. A drug – mélange, that allows expanded life, prescience, space travel, but causes death when you stop taking it. An entire interspace civilization and a galaxy-wide war. This was an epic story! 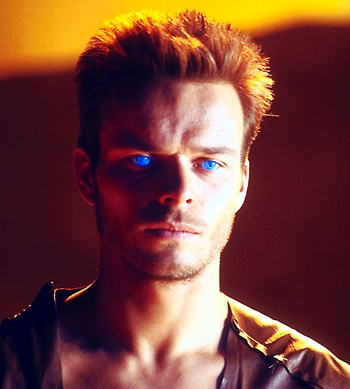 Paul Atreides, heir to the royal family becomes Paul Maud’Dib, the messiah who leads the desert-dwelling Fremen in Jihad to conquer the universe. All with the help of mélange – a spice-drug that eventually turns your eyes entirely blue. 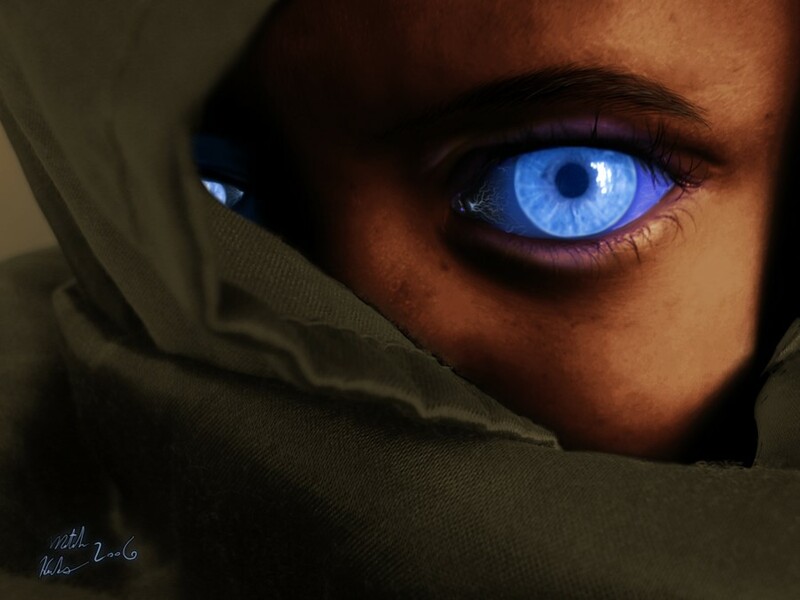 Yes, a striking blue, not green, but Paul Maud’Dib’s eyes remind me of the Empress’ eyes. Plus, without enhancing or magnifying the card, they appear close to light blue. Alejandro Jodorowsky wanted to produce a Dune movie. He acquired rights to an option to make the film in 1975 and started chasing financing and film staff. He approached many other cultural icons for work on the film including Virgin Records with the progressive rock groups Tangerine Dream, Gong and Mike Oldfield before settling on Pink Floyd and Magma for some of the music; artists H. R. Giger, Chris Foss and Jean Giraud for set and character design; Dan O’Bannon for special effects; and Salvador Dalí, Orson Welles, Gloria Swanson, David Carradine, Mick Jagger, Amanda Lear and others for the cast. Jodorowsky intended for his son Brontis, 12 years old at the start of pre-production, to star as Paul Atreides. The project ultimately stalled for financial reasons. The film rights lapsed in 1982, when they were purchased by Italian filmmaker Dino De Laurentiis, who eventually released the 1984 film Dune, directed by David Lynch. But Jodorowsky’s efforts lived on through a documentary film about his efforts. Jodorowsky’s Dune, directed by Frank Pavich was released in 2013. It chronicled the story of Jodorowsky’s failed efforts to bring the story to film. So Jodorowsky tried valiantly to make a Dune move from 1975 to around 1982. Towards the end of this effort he became involved with Phillipe Camoin in a unique restoration of the Conver Tarot de Marseille. This restored deck is replete with new color scales, new objects and our Empress’ radically changed eyes. Paul Atreides becomes Paul Maud’Dib, an Emperor. Did Jodorowsky‘s infatuation with the Dune story slip into this deck? Did he see the Empress as Maud’Dib, or perhaps his mother Lady Jessica or his wife Princess Irulan? Before dismissing this idea, I recommend that you watch one or several of Jodorwsky’s movies: The Holy Mountain, Topo Topo, Santa Sangre to name a couple or read some of his many books including the seminal and influential Tarot de Marseille, The Way of Tarot, The Spiritual Teacher in the Cards. Jodorowsky’s mind is a labyrinth of symbols and echoes interspersed with psychedelic mandalas and mathematical constructs. He is a modern genius expressing the poetry of the human experience in exceptional, inspiring and unique ways. Themes overlap and reflect. A cigar is rarely just a cigar! 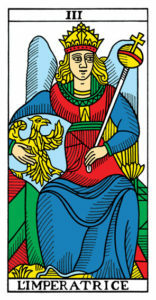 The Empress lies solidly in Jodorowsky’s earthly-bound segment of the major arcana (1-10). We may admire and serve her, but she is not in the heavenly realm. She is, like Paul Maud’Dib, replete with the trappings of power, both secular and divine, but earth-bound and not a god.